Saving money looks different for everyone. Regardless of your preferences to accomplish your personal financial goals, your financial planning app needs to be on same page as you and understand your goals and objectives. Thankfully, Oval Money accomplishes just this. The company’s app teaches financial literacy and empowers users to define their own rules for financial prudence; incorporating behavioral economics. At the heart of the app is a number of algorithms built using machine learning to analyse and understand spending habits to build a plan around spending leading to savings. 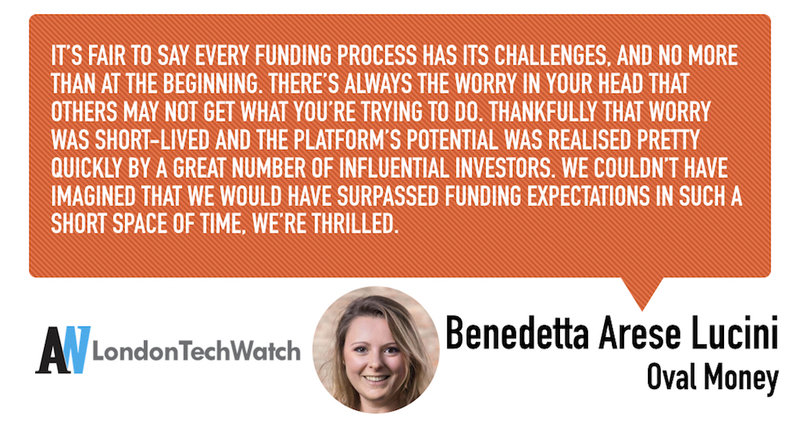 London TechWatch chatted with CEO Benedetta Arese Lucini about the company’s newest round of funding and what they bring to the mobile personal finance sphere. 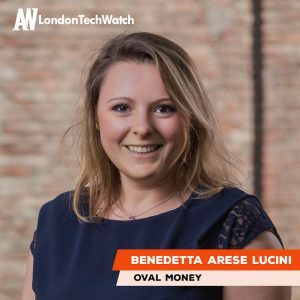 Oval Money has so far attracted more than 1,000 investors, with 35% of these already using the app from its crowdfunding round. 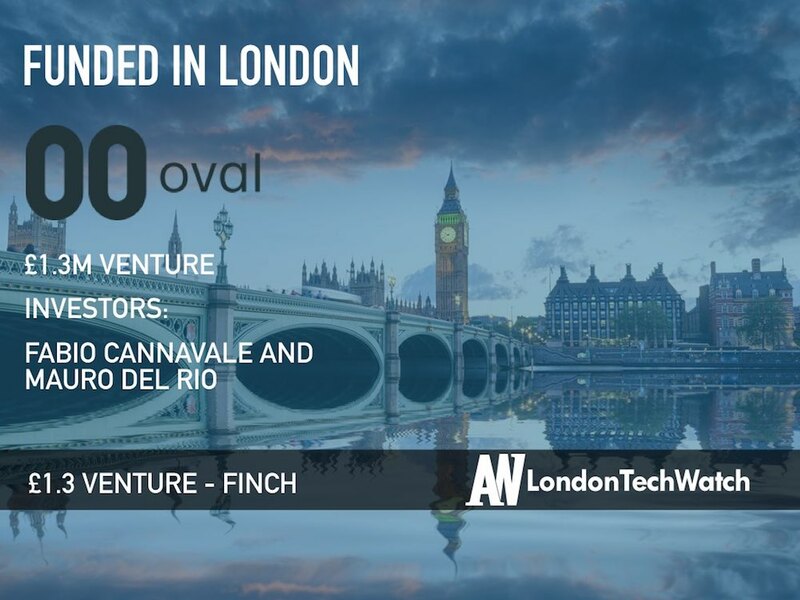 This complements the angel investments received by prominent Italian entrepreneurs, such as Fabio Cannavale, CEO of Lastminute.com and Mauro Del Rio, founder of Buongiorno, which is part of the DOCOMO Digital Group. We raised £1.3 million in our latest venture round, with more than 60% of this (£800,000) being generated through crowdfunding on the Crowdcube platform. 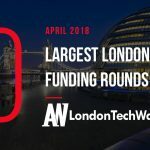 Surpassing everyone’s expectations, the startup goal of £500,000 was achieved in less than 72 hours, making it one of the most successful raises on the platform. Tell us about Oval Money. Oval Money combines expense tracking, saving, and, later this summer, investing into one platform. The platform helps people be wiser about their money by saving quickly and effectively and teaching them to monitor their spending habits. What is the inspiration behind Oval Money? While the team has always had a passion for disruptive technologies, I think that the overarching inspiration was born from the notion that – like Oval’s founders – our generation is on the go, and flexible in income and lifestyle, and we felt underserved by traditional, stuffy financial organisations, and left in the dark. Saving doesn’t need to be complicated and it needn’t be a chore! How is Oval Money different? Oval Money consulted the brightest minds in personal finance and behavioural economics to develop machine learning algorithms, that guide people to better spending. It learns from your spending habits and tries to make suggestions on how to improve on your ability to save. What market does Oval Money target and how big is it? 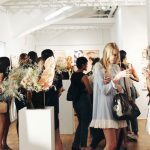 Oval Money is aimed primarily at our generation of on-the-go, flexible people who are used to renting rather than owning homes and have variable income. In the UK alone, the number of gig economy workers is estimated at around 1.1 million, and the amount of people with variable monthly incomes is many millions more. We are soon to launch a marketplace of exciting financial products and services of third parties. We will charge a small service fee to use our platform. Can financial literacy really be taught with an app? Absolutely. Oval Money empowers users, not only by providing easy to understand awareness of outgoings, but also by empowering people to plan what they want to save, according to their own lifestyle and rules. It’s fair to say every funding process has its challenges, and no more than at the beginning. There’s always the worry in your head that others may not get what you’re trying to do. Thankfully that worry was short-lived and the platform’s potential was realised pretty quickly by a great number of influential investors. We couldn’t have imagined that we would have surpassed funding expectations in such a short space of time, we’re thrilled. Crowdfunding also confirms the market fit as most investors are ultimately users of the technology. Telling the story and getting people to believe in the bigger vision is always a challenge but we made a very easy to watch and understand video that helped portray the message. I am sure the team’s experience and the achievements this far. In the summer, Oval Money will introduce an investment marketplace, providing an opportunity for people to move the money that they’ve saved, stored in their secure digital wallet, into a savings product that can help their finances grow even more. What advice can you offer companies in London that do not have a fresh injection of capital in the bank? Make sure you go to events and conferences and be part of the fintech ecosystem. Find ways to talk about your long term mission and the vision for the company in the future. Don’t raise money as a financial goal, but as a business one! It has to be clear why you need the product or service and what you need to achieve thanks to it. Where do you see the company going now over the near-term? We see ourselves growing across Europe bringing our solution to customers across multiple countries that still have very few opportunities to improve their financial management. What is your favourite London pub to grab a pint with the team? I am not a beer fan, we love the gin & tonic bars around London and are always looking out for new ones!